Oklahoma quarterback Baker Mayfield threw seven touchdowns in Saturday's win over Texas Tech, but that wasn't enough to earn him player of the week honors. It was, however, the best performance of a season that has Mayfield near the top of every statistical category in college football. WATCH >> Baker Mayfield "Overcoming the doubters"
"I thought Baker was just sensational," head coach Bob Stoops said. "Not only just his accuracy — his deep balls, the decisions at the line of scrimmage, changing players here and there. (He) just really operated in a great, great way to have the consistency we did." 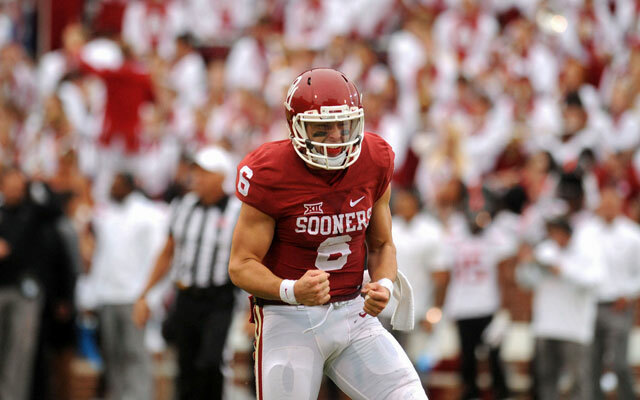 Mayfield has completed 71.4 percent for 2348 yards and 23 touchdowns this year, with an adjusted QBR of 90.3, according to ESPN. Last season, when Mayfield finished fourth in the voting for the Heisman Trophy, Mayfield completed 68.1 percent of his passes and had a QBR of 80.4.